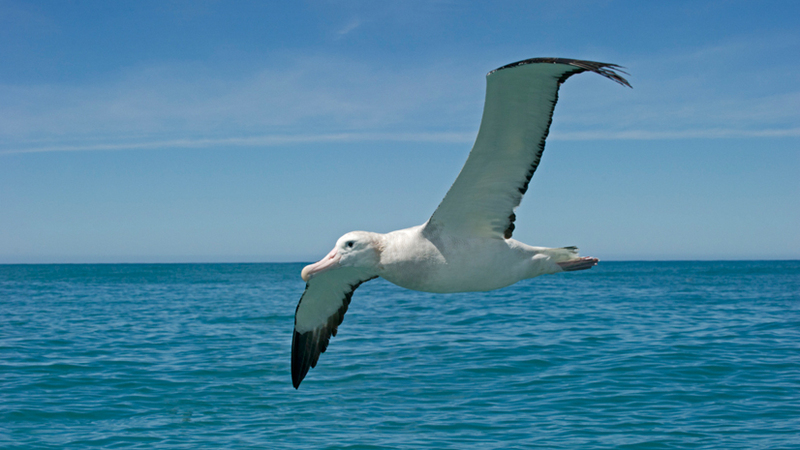 Did you know that albatrosses spend most of their lives at sea? Some species of albatross have been known to fly 1000 kilometres in a single day. Albatrosses spend most of their lives at sea, only returning to land to breed. Albatrosses pair up for life. Over a lifetime, an albatross can fly millions of kilometres - enough to circle the Earth over 100 times. Incredibly, some types of albatross can travel up to 1000 kilometres in a single day. They are among the largest of all flying birds.